HOW FAR IS LOCK AND RELAX FROM THE MAJOR TOURISTIC ATTRACTIONS? HOW CLOSE IS LOCK AND RELAX TO THE CLOSEST TRAIN STATION WITH DIRECT LINE TO AIRPORT? HOW MUCH DOES A TRAIN TICKET COST TO THE AIRPORT? Do not worry! All you have to do is send us a Whatsapp or call the number 695 552 059 informing us of what has happened and one of our staff will come immediately to open your locker. NOTA:a la hora de guardar tu equipaje en la taquilla,asegúrate de llevar todas tus pertenencias necesarias”documentación,dinero,tarjetas de crédito…),dado que una vez cerrada la taquilla el volverla abrir implica el depósito de otros 5€ para obtener nueva ficha. WHAT SHOULD I DO IF I ARRIVE LATE TO COLLECT MY BAGGAGE? You will not be able to recover your luggage until the following day and you will have to pay a penalty of €5. You must pick up your luggage by 10:30 a.m the following day, given that after this time you must pay another €5 more corresponding to the daily rate of the current day. CAN I LEAVE MY BAGGAGE FOR MORE THAN ONE DAY? 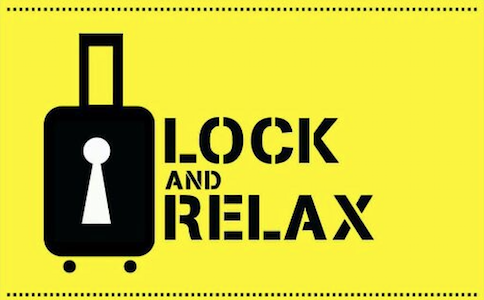 At Lock and Relax we offer you the possibility of leaving your luggage for more than 1 day. All you have to do is send a watsapp to our mobile number 695 552 059 indicating the date and time you want to leave your luggage so that a person can receive you and to which you must pay the amount corresponding to the days you leave us bag.